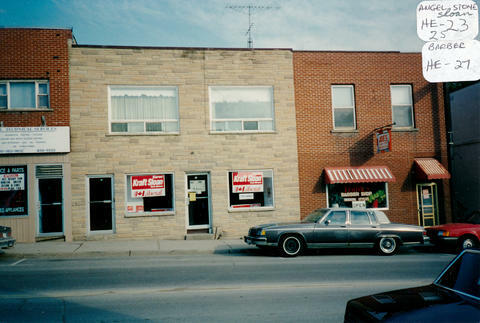 The buildings shown in this photo are located at 21, 23, 25 and 27 Holland St. East. One of the buildings in this row was once a bakery and confectionary owned by Jack Madil. There were two ovens in the rear and a barn at the back of the property. Jack later sold the business to Fred Gowland in the early 1930’s and bought a farm (on the north side of Concession 10, on the west side of Sideroad 10). Fred and his family moved into the living quarters above the bakery. He had a partner and second baker named Bert Hunt. Fred later got a job as head baker at the Penetanguishene Asylum and moved to that area. Bert was left to run the business until he got sick. The business was then closed and the building was sold. 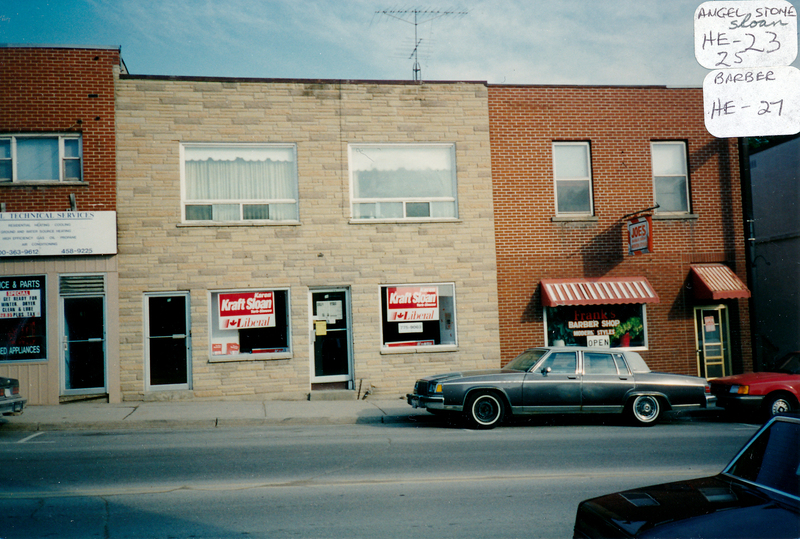 The 25 Holland St. East address was the Liberal Party office for Kraft Sloan in 1995.